Dress your windows with style using Window Cornices by New England Classic. Select from several styles, each available in paintable or stainable woods, either factory finishes or shipped ready for you to finish! Check out our easy cornice installation instructions! 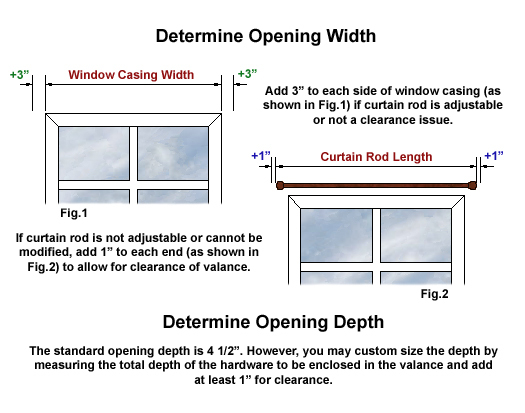 Note: If you don't have rods or blinds extending beyond the window casing (or edge of the window opening if you don't have window casing) the cornice opening width = Casing or Window Opening Width + anywhere from 2" to 4" at your pleasure.